Catch all the latest updates at your fingertips. Download the SIH2019 App NOW. Smart India Hackathon 2019 Hardware Edition Dates: 8th-12th July, 2019. Inter Institutional Inclusive Innovations Center (i4c) is an independent, non-profit entity. 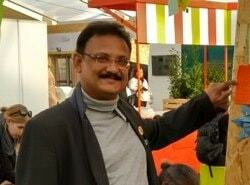 It identifies people from India with innovative ideas. 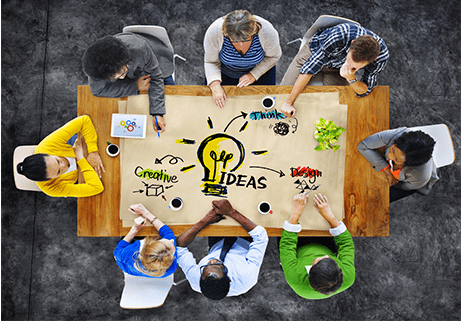 It is a facilitator for people with out-of-box ideas, or innovative working prototypes. i4c aims to create and foster a culture of innovative thinking. The purpose is to manifest latent ideas into commercial products that can benefit humanity in general, and help solve India's existing social perils in particular. 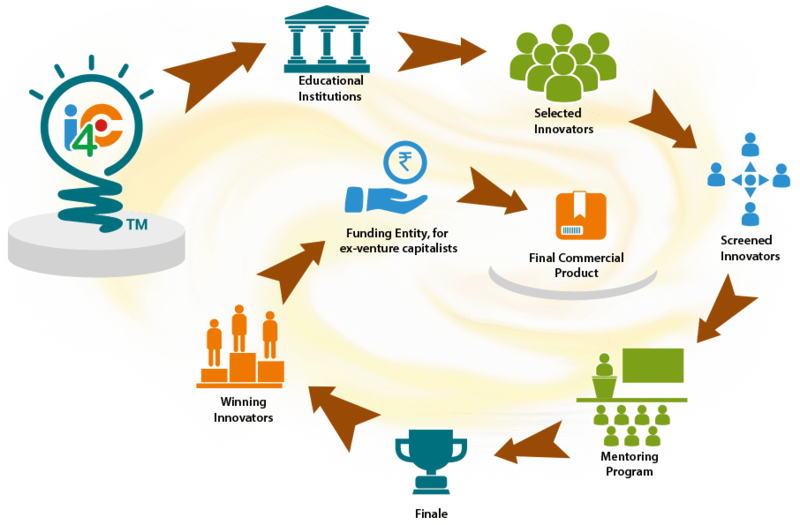 At i4C, we envision India as a vibrant, self-sustaining, innovation-driven economy. We invite original, innovative ideas from you, that have the potential to transform lives. We help you develop your ideas into high value products and technologies that will have the power to impact lives. We are committed to build an ecosystem that supports and promotes disruptive technology innovation in India. We celebrate divergent thinking and foster creative solutions. We provide a platform to mentor, support, encourage, incubate your ideas, ensuring that your innovations see the light of day. We also proactively scout for pan-India innovations through competitions, exhibitions and seminars that we organize. 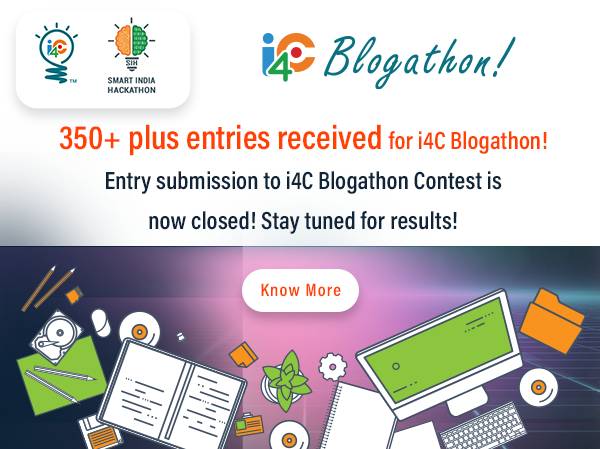 i4c also conducts idea and innovation competitions to bring to fore high-potential ideas that can be developed into commercial-products for advancement of society. i4c reaches out to the most interior of hinterlands in India to scout for innovative ideas. There may be students in far-flung villages having path-breaking ideas, but do not know how to take them forward. i4c conducts idea and innovation competitions involving schools and education institutions even from the remotest of villages. 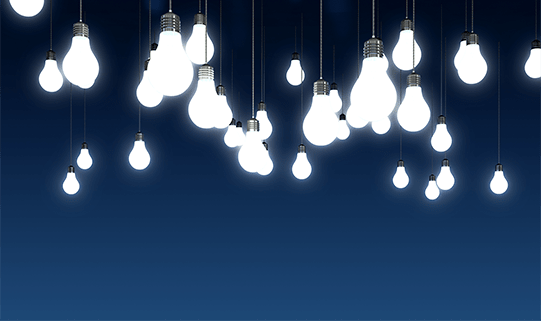 People will think out-of-the-box, when there is a prevailing culture of innovative thinking. i4c encourages all educational institutes to have an idea and innovation club, and celebrate one day in a year as innovation day. i4c provides a platform to people from India with ideas and prototypes, which can be transformed into working products. It also assigns mentors in the form of eminent scholars to guide and counsel the innovators. Additionally, the selected innovators are provided financial aid in order to further develop and nurture their ideas so that their ideas can become sustainable products benefitting society at large. 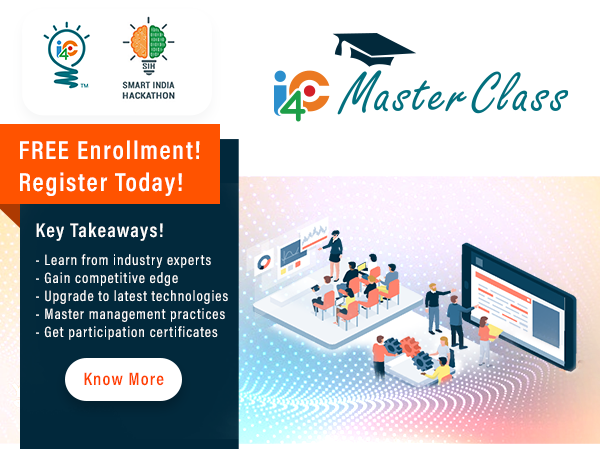 The benefits an innovator can derive from i4c, are explained in detail below. Platform - i4c provides a platform to people with ideas from even the remotest of villages in India to showcase their ideas or prototypes to industry experts, scholars, industrial houses, venture capitalists, and other funding agencies by hosting competitions among educational institutions involving erudite thought leaders of India, industrial houses, and media coverage. Mentorship - Thought leaders like Dr. Anil Kakodkar, Dr. Raghunath Mashelkar, Dr. Vijay Bhatkar, and many other illustrious scholars are associated with i4c. Once an idea is identified as one with potential, the innovator of the respective idea is assigned a mentor. The mentor guides and counsels the innovator to further refine their ideas. 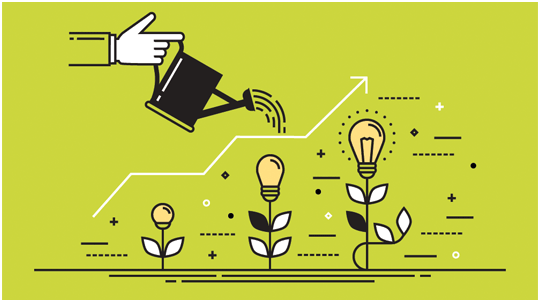 Financial aid - i4c directs the selected innovators to industrialists, funding agencies, or venture capitalists in order to receive financial aids. After determining the commercial viability of the innovation, these entities fund them for further development. At present i4c has 16 industry leaders on board. Dr. Anil Sahasrabudhe, Chairman AICTE & Smart India Hackathon 2017 talks about the process of Smart India Hackathon and how it will involve engineering students across India to provide technology solutions to real time problems faced by our country. Shri Prakash Javadekar, hon'ble Union Minister of Human Resources, introduces Smart India Hackathon 2017. 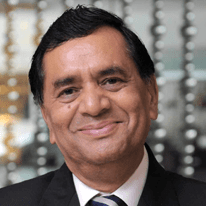 Mr. Pramod Chaudhari is the founder and executive chairman of Praj Industries. Mr. Chaudhari elaborately talks about how he became an entrepreneur and the hurdles he faced. He also speaks about the ease of doing business post liberalization in 1991, among many others. The 'Ice Man of India', Chewang Norphel finds an answer to rising problem of drinking water in Ladakh. His solution? Creating Artificial Glaciers! Four engineering graduates from MSRIT, Bangalore have turned their dream into reality by providing solar-based home lighting system to some remote villages in Karnataka. Anil and Pamela Malhotra turned their dream into reality by creating a 300 acre private wildlife sanctuary in Kodagu, Karnataka. The sanctuary boasts of several endangered wild animals, hundreds of species of birds and indigenous trees with medicinal value. Simon Oraon - who devoted his life for the cause of water conservation and environment welfare, has just been awarded India's fourth highest civilian award - the Padma Shri, in recognition of his noble lifetime achievement. Read the article on his inspiring work. 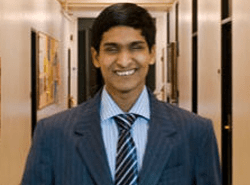 Born blind and poor, Srikanth Bolla was castigated upon by relatives and neighbors, and his parents were advised to smother the baby immediately after birth to get rid of a lifelong "burden". This supposed burden went on to study in the Massachusetts Institute of Technology (MIT), and then returned to India to become the founder and CEO of a 50-crore worth company - Bollant Industries, providing employment to differently abled people like him. Waterlogging on arable land and subsequent loss of land fertility is a farmer's nightmare. Each year millions of acres of land around the world loses its fertility this way. A simple innovation called Bhungroo might just be the perfect solution for this problem. Bengaluru based oncologist, Dr. Vishal Rao has innovated a voice prosthesis that can help throat cancer patients speak after surgery. Unlike the other exorbitant voice prosthesis available in the market, this one costs merely Rs.50. Each year, 150000+ babies with hearing impairment are born in India and remain speechless for lifetime because of late intervention. Nitin Sisodia's Sohum device is a ray of hope to tackle this problem. 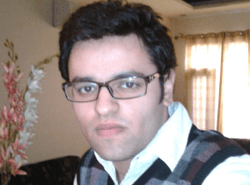 Nikhil Khurana, a 23 years old engineer from Delhi designed a hybrid-electric retrofit kit for cars, which promises to cut down emissions and increase mileage of cars. 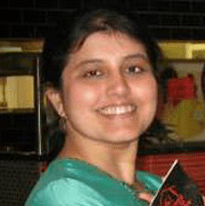 Richa Singh and team, who formed the website YourDOST. Richa Singh is the principle co-founder of this website, who converted her idea of healing melancholic people in the comfort of anonymity, without the person having to disclose his or her identity and run the risk of being stigmatized in the society as a mentally ill person. 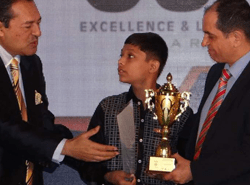 This section features an interview with Vedant Thaker - a 11 year old boy from Mumbai, who built an innovative power-source using his father's discarded laptop battery. Ideas to Impacts Innovations Pvt. Ltd.
People react in their various idiosyncratic ways in the face of adversity. Few alter their course in order to avoid the ordeal, few languish in despondency, while one or two emerge as exceptions - who work toward eradicating the adversity. Adversity that befalls a place due to natural causes requires drastic measures to counter their ill-effects. And, this drastic measure might tantamount to a devotion of one's entire lifetime. 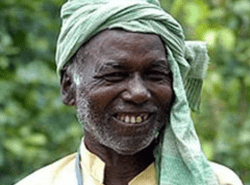 Simon Oraon dedicated his life to the conservation of water and forest in Jharkhand's Bedo block. His glittering accomplishment of lifetime - has now been recognized by the Government of India. He has been awarded in January 2016 - the coveted, elite and prestigious Padma Shri - India's fourth highest civilian award. Ever since childhood, Simon used to see his neighbors, relatives and other people leave his village during summer months in search of options for livelihood, as his own village - Bedo, used to run into severe water-crisis. And, if the monsoon failed in a year, drought claimed several lives. In 1961, he dropped out at class 4, and felt somewhat compelled to do something to prevent water crisis and drought-like situation every year. Simon Oraon trudged all the way in the opposite direction of the stream in incessant rain to trace its origin. Once there, he mapped the contour of the rainwater falling from top of the hills. In the rocky, undulated terrain water gushed from atop creating ravines. Seeing this, he felt that building a dam at the foothills could prevent the water from streaming out. And, that same blocked water by the dam could be made to use in purpose of irrigation upon building canals. The canals originating from the dam would take the water across the village. So strong was his resolve that he actually got going with the building of a dam. He got along a few villagers and constructed an earthen dam near Gaighat in Bero in 1961. However, the dam didn't last long as it couldn't withstand the force of water. After it got washed away, Simon, this time with added resolve, reconstructed a stronger dam. But, this time too it crumbled due to the strong water current. Nevertheless, this time it caught the attention of the state water resource department. They supported in building a dam with increased height and width. That dam exists till now without even a crack. Later, without any help from the state government, Simon and his fellow villagers built one dam at Deshbali, and another at Jharia. They even built five ponds in the villages of Hariharpur, Jamtoli, Khaksitoli, Baitoli and Bhasnanda - which they linked to the dams. The trapped water in the ponds has been channelized to fields through canals. Simon didn't end at that. He took up the responsibility to ensure the maintenance aspect. He sowed more than 30000 trees to prevent soil erosion. Courtesy Simon Oraon's initiative, around 1500 families now reap three crops instead of the single crop of Paddy that they had been reaping. The total farm area is around 2,000 acres. The village of Bero now has a vegetable market that even supplies vegetables to places like Kolkata, Hazaribagh, Ranchi, and Jamshedpur every month. As head of Khaksitoli village, Simon Oraon had launched a people's movement to fight deforestation. He said by 1960, when vast areas of forest had completely disappeared, he decided to call a meeting in his village to sensitize people about the evils of deforestation and the possible blessings of afforestation. He spread his movement to other villages after he became chieftain of Bero area. Simon believes that water, from any source whatsoever, ought to be preserved instead of being allowed to drain away. The saved water can be put to use for greater yields. Simon has formed a 25-member committee in each village to look after the forest of the area. He summons a meeting on every Thursday to monitor the affairs. Thanks to the tireless effort of a single man, Bedo has become the agricultural hub of Jharkhand. It supplies close to 20,000 metric tons to neighboring states. Simon Oraon hasn't relented yet though - he still plants at least 1,000 saplings every year. This is the story of Srikanth Bolla, who hasn't let the cruelest of adversities life dealt him with - to break, suppress and defeat him. He might have had silently wept alone shrouded in misery in his earlier days. Today those unnoticed tears have manifested - in a 50-crore worth business. It is evident that he didn't give up on life; he is a man of gigantic resolve. Srikanth Bolla is now the CEO of Hyderabad-based Bollant Industries. This organization employs uneducated disabled employees to manufacture eco-friendly, disposable consumer packaging solutions. It is such a massive misfortune to be born blind-to be subjected to lifelong gloom and being deprived to see one's surroundings. When keeping the eyes closed in an interesting situation can be so frustrating, it shudders to imagine how one might feel to keep the eyes closed all through life! Born unfortunate and deprived, Srikanth Bolla was also castigated upon by neighbors as "useless". They even advised his parents to smother him in order to free themselves from a lifelong burden. Today, this supposed "burden" is brightening up people's lives by providing employment in his own self-started company. In 2009, when Indian Institute of Technology (IIT) closed its gate on him for being blind, Srikanth sought admission and got through the prestigious and elite Massachusetts Institute of Technology (MIT). He was selected among 120 foreign students and was the only Indian blind student selected by MIT. He pursued Computer Science and Business Management there, and then returned to India giving up on lucrative job-opportunities in US because he wanted to serve the Indian community of the differently-abled people in his utmost endeavor. Upon his return to India, he had set up a support service platform to rehabilitate, nurture and integrate differently-abled people in society. During Srikant's initial primary school days, he was isolated by his fellow classmates and was relegated to the last-bench to be seated alone. No one used to involve him in their activities as they felt he was incapable of anything. Loneliness from isolation had befallen him in a manner such that he used to then consider himself the "poorest child" on earth-not due to lack of money, but due to lack of companionship. Trudging about 5 kms every day through puddles of water and slush, the blind boy toiled for 2 years between age 6 to 8 to reach to school. When his parents learnt their son's harrowing experience in the school, they took the decision to shift him to a special school in Hyderabad, where he could study with children of his kind. It was in this school in Hyderabad that the sparkle of the then to be un-earthed diamond shone occasionally. He scored excellent marks in his grades. He played Chess and Cricket for India. He worked with former president of India Dr APJ Abdul Kalam on various projects, motivated around eight lac youths in Youth Transformation project in the Lead India campaign. Towards the end of his bachelor's course at MIT, the past miserable incidents of his life for being a blind person started bothering Srikanth. He didn't want people, who're blind like him or are disabled in any other way - to suffer the same wretched treatments that he had to undergo. He didn't want the disabled, who formed 10% of India's population, to be treated as social outcaste. Srikanth felt a strong urge to do something to make them play an integral role in the development of economy. Therefore, he relinquished the opportunity to have a high-profile job in corporate America and fulfill the American dream. He came back to India. Today, Srikanth has four production plants, one each in Hubli (Karnataka) and Nizamabad (Telangana), and the other two in Hyderabad (Telangana). A plant, which will be 100% solar-operated is in the pipeline and is supposed to be built in Sri City in Andhra Pradesh. The workforce of the company is comprised of 70 percent people with disability. Isolation of disabled children begins right at birth. Parents either smother them, or put them in asylums alienating them from mainstream society. Srikanth holds his parents in extreme high regard and revers them for not paying heed to people's advice and disposing him off after birth, but educating him to enable him. In fact, his parents brought him up with utmost compassion, care and love against all odds. Srikanth Bolla - what a worthy child of such glorious parents! 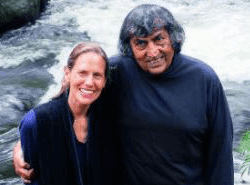 Anil and Pamela Malhotra were always passionate about nature. Back in 1991, this NRI couple returned to India to turn their passion into a dream project- creating a wildlife sanctuary of their own! They began their mission by looking for a suitable land first in north India and later in the south. They finally zeroed in on a huge 55 acres of land in Theralu village next to the Brahmagiri Wildlife Sanctuary, Kodagu (Coorg) in Karnataka to create the Save Animals Initiative (SAI) Sanctuary. They chose Kodagu because it is supposed to be a micro hotspot of biodiversity on Earth. Over the years, their dream has widened into over 300 acres of beautiful forest which is home to several threatened species of animals from elephants, tigers and leopards to deer, wild boar, Sambhar, wild dogs, jackals, foxes, hyena, civets to river otters, the giant Malabar squirrel, snakes and 300+ species of birds. As Pamela wisely points out, we expect the government to do everything. However, alert citizens and NGOs have equal responsibility and can do their own bit to conserve the wildlife and forest cover. With these thoughts in mind, the couple initially purchased approximately 55 acres of unused and abandoned land from Kodagu farmers. This land was not in use due to excessive rains in the district. The passion to expand this green cover grew stronger with each passing year and they kept buying lands from farmers who were not using them. This helped them to expand their sanctuary and the farmers to repay their debts with the money. Today, a quarter of a century since they started, their sanctuary has expanded to cover over 300 acres of land. When purchased, the land already had native species of cardamom and other trees on it. Retaining them, the couple planted additional native trees to expand the green cover. Today the SAI sanctuary houses several indigenous trees, many of which are of medicinal value. It also includes approximately 10 acres of coffee and 15 acres of cardamom plantations. Besides this, the couple does organic farming too. Even as the green cover of sanctuary expanded, a number of animal and bird species started making this sanctuary their home. Today, this one-of-its-kind 'private' wildlife sanctuary has a beautiful river in the middle that is home to several aquatic species like fishes and snakes, including the King Cobra. It also has huge, thick trees that are home to several birds like the hornbills and 300+ species of routinely visiting birds. No human interference and no poachers. As a way of identifying new animals visiting the forest and keeping a track of animal poachers, they have installed cameras at strategic locations across the sanctuary. They also ensure that people who visit the sanctuary are responsible tourists who are keenly interested in exploring nature's beauty. Smoking and drinking in the sanctuary is completely prohibited as it disturbs the animals and the overall purity of the air. Patrolling 300 acres of sanctuary for poachers is yet another challenge. To counter this, the Malhotras have even spread awareness about preserving wildlife and nature in schools and nearby villages. award by Sanctuary Asia in conjunction with Tour Operators for Tigers in 2014. To know more about this sanctuary, visit www.saisanctuary.com . Your project has a unique name. What does Belaku mean? Belaku is a Kannada word which means light. Through our project, we hope to brighten people's lives - be it by electrifying their homes, or by offering health and education programs. 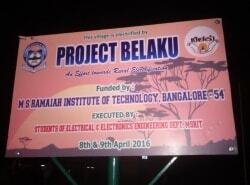 Our project is therefore, aptly named Project Belaku. How many of you have been part of this project? How do you manage your careers and work for this social cause? Our team basically includes four us - Sunny Arokia Swamy B, Balachandra M Hegde, Kotresh Veerapur and Kumaraswami H. We all are engineers and have graduated in 2015. All of us are working with some of the leading companies in India. Managing our careers and our social work at the same time is surely a challenge. For this, we plan our activities primarily on weekends. Can you please describe all the work done by you as part of this project? Once we decided to go ahead, we started by surveying several villages and shortlisted two of them for our project. We then designed a prototype and started testing it. Once we were ready with the design, we started replicating it. The final stage involved installation of solar panels, tube lights and bulbs in 18 houses across 2 villages. How much time did it take to plan and execute your project from start to end? We all came up with the basic idea of Project Belaku in our 3rd year of engineering and were really keen to implement it. After completing our engineering, we came across an article that stated that there are several villages in Karnataka which do not have electricity. This inspired us to start planning our dream project. We went and surveyed a few villages on 6th & 7th of February 2016. After shortlisting 2 villages, we went and met the HOD of our college. We were keen to complete before monsoon, so we finished the entire project by first week of April. The overall planning to execution process for this project took us about 4 months. How did you gather funds for your project? Did your college or any NGOs support you? The project was completely funded by our college M S Ramaiah Institute of Technology, Bangalore. We have also put in some personal funds in the initial stages of the project. How many homes did you manage to light with your project? In total, we covered 18 houses in 2 villages, 10 in Ghatkunang and 8 in Khangaon. We have provided one tube light, 3 bulbs and one mobile charger for each of these houses. Please share some unforgettable events that took place during the project. The project has involved a lot of hard work on part of the entire team. Since we were running against time, we worked practically day and night. During day time, we worked in scorching heat and completed mounting of the solar panels on roof tops. When work extended to late nights, we had no option but to work in pitch darkness with help of some torch lights. The entire experience was seriously worth it. The satisfaction we got by watching smiles on people's faces once the work was completed is surely unmatched. And the hospitality shown by the villagers to the team was simply amazing. They served us traditional home cooked meals and beverages while we worked. We are truly feeling blessed. What was the villagers' reaction once the project was completed? How has the project changed their lives? The villagers' reactions was simply amazing and unforgettable. We put solar panels in the villages on the auspicious day of Ugadi. The villagers who had never seen electric lights in their home, thought the glowing lights were a gift from gods themselves. They were so excited that they performed a pooja of the new solar panel and joined hands in the form of namaskars to the glowing light bulbs. The villages are surrounded by thick forests which are home to several wild animals like the bears. Earlier, without any lights, the villagers would be confined to their homes by nightfall for fear of personal safety. Today, these homes have bulbs at their entrance which helps to keep animals away in some way. 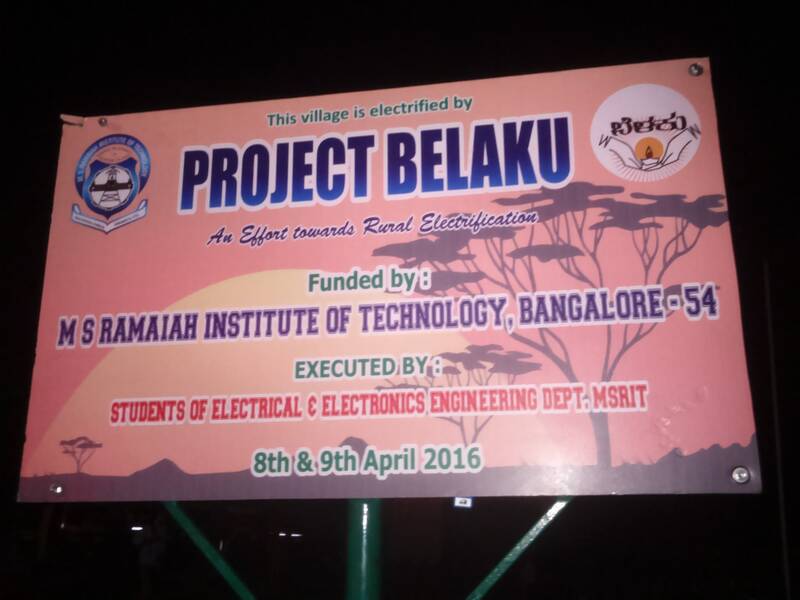 Project Belaku has covered 2 villages till date. Do you plan to cover many more? The first phase of Project Belaku has given us immense satisfaction. It was simply amazing to see joy on people's faces after the project was completed. This is what inspires us to do more. We feel that many more people are still waiting for our support. So, we are planning a hydro power project in the next phase. We are currently surveying 4-5 villages and plan to start work post June 10 this year. If yes, do you wish to call for more volunteers to come forward? Yes, volunteers are always welcome to join us. As a matter of fact, we would want local volunteers to come and give us technical inputs or help us with the installations. With the nature of work that we are doing, we also invite people to provide financial support, recommend villages that can be covered under our project, or simply help us to fetch more hands to do the technical work in villages. You have achieved something the government could not in last 69 years. What are your comments? Indian government has been doing so much on a big scale. We believe that even citizens need to contribute in some way to make India a better place. So here we are, doing our share. Water is indispensable part of our lives. So is it in Ladakh, one of the most scenic regions in the Himalayas. However, it would be tough to believe that water is increasing becoming scarce in these snowcapped regions like Ladakh thanks to global warming, increasing population and increased interest of tourism industry. The melting ice is the basic source of water for villages in the Himalayan region. With global warming, the Himalayan ice melts faster than it did earlier. Melted water from the Himalayan ice goes waste in the summer months as it gets drained into the Indus River. Ladakh is, therefore, facing rising problems in fetching drinking water over the last few years. Villages adjacent to rivers can opt to build canals to divert water and create a water reserve. But what about other villages? A new idea of creating artificial glaciers could be an answer to this problem. Artificial Glaciers are created by freezing water from the rivers or streams on the mountain slopes during the winter months. In the spring time (or the sowing season), the artificial glaciers can melt in time for their use in irrigation. Early irrigation and sowing also ensures early ripening and harvesting of crops. The idea of a manmade glacier first struck Mr. Chewang Norphel when he saw chilled water flow away from a tap and gradually freeze into an ice sheet as it touched the ground. He then proposed an idea to build canals and dam like structures that would obstruct melted water from natural Himalayan glaciers from flowing away during summers. The water thus saved during summer can be frozen during winters to form glaciers. Mr. Chewang kick started the first artificial glacier project in a tiny village called Phutse. He used all his passion, experience and engineering skills to create canals for diverting river and stream water to a well shaded catchment area. The key idea that helps create the glaciers is controlling the velocity of water. Since water flowing through main streams in steep areas doesn't freeze, it is required that the water to be frozen be diverted to a shadow area by constructing a diversion channel with a mild grade. When it reaches the site, the water can be released downward of the hill, distributing it in a small quantity so that the velocity can be minimized, and ice retaining walls in series can be constructed to store the frozen water or the artificial glaciers. The Phutse project costed approximately Rs.89000 and was created using only locally sourced materials and local man power. Till date, 10 such artificial glacier projects have been carried out by Mr. Chewang in different parts of Ladakh. Farmers in the Ladakh region have shifted their focus from the tradition crops of the region to cash crops like peas and potatoes. Unlike the 90 days maturity time taken by the traditional crops, the cash crops need 120 days to mature. This means the cash crops need to be sown at least 20 days earlier than the usual ones. An artificial glacier can help by becoming a good provision for the additional water requirement until harvesting of the cash crops. The glacier waters also help to increase the tree plantations in their region, rejuvenate the groundwater table, thereby increasing the flow of water in the downstream and natural springs. It also helps to moisten the soil and development of pasturelands for grazing. Overall, Mr. Chewang's efforts have helped to increase the income of the locals and reduce migration of local people to the cities. The cost involved in creation of a glacier is determined by the terrain where it is to be created and the length of water canal and stone wall to be built. The cost could range anywhere between 3 to 10 lakhs. However, it is difficult to get adequate funding as it's not a 'proven' solution to water scarcity. Also, there is no provision or funds allocated especially for it in the government schemes. Another problem is inadequate support from local population during construction and towards for maintenance of structures created for glaciers. It is now up to the rural development department and the LAHDC to promote this technology and take it ahead. Chewang Norphel is a resident of Skara 'Mahey'. After earning his Diploma in Civil Engineering from Civil Engineering School, Lucknow, he started working in Rural Development Department as an Observer. He retired as an Executive Engineer from Rural Development Department in March 1995 after 30+ years of service. Soon after, he joined the Leh Nutrition Project, an NGO based in Leh, as Chief Project Officer and worked with the project for 17+ years. 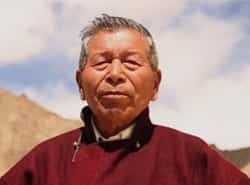 Today, Chewang Norphel is known as the "Ice Man of India" owing to his efforts in creating 10 artificial glaciers to solve water scarcity in Ladakh. YourDOST is an online platform that has experts counselling people with depression or any kind of mental anxiety or illness. Richa Singh the principal co-founder of this website converted her idea of healing melancholic people in the comfort of anonymity, without the person having to disclose his or her identity and run the risk of being stigmatized in the society as a mentally ill person. How did the idea of assisting people with depression and other forms of mental illness, come to your mind? The idea took birth out of a personal experience and therefore it is not just a business for us. When our co-founder Richa Singh was studying at IIT Guwahati, one of her hostel-mates committed suicide due to apprehension of a bad placement. None of them around her had any clue of her suffering before she took such a drastic step. Richa felt this could have been avoided. Even though there were counsellors and experienced psychologists in the campus, hardly anyone used to seek their support/help. When Richa started working, she saw that people around her were stressed due to job pressures and relationship issues. However again, most of these people were not willing to talk about their problems fearing social implications and for the fear of being called mentally ill.
And that's when she decided that a change is needed and it should happen through her. This is when she conceptualized the platform YourDOST - your emotional wellness coach! Anyone going through emotional problems or anyone wanting to seek guidance or help on self improvement, or issues pertaining to relationship, career, parenting, etc. can chat with our experts anytime, anywhere, while being completely anonymous. The ability to deal with stress, anxiety, depression and pressures of all kinds & from many sources - personal, societal, peer, etc. Not coming from the field of psychology, how did you get started with an initiative that involves therapy of human melancholy? Not coming from the field of psychology was a drawback initially. So we decided to approach many psychologists. We used to ask them about their cases and write blogs about it. We were fascinated, how helpful they can be only if people approached them. Since then we thought about creating a platform where people can anonymously seek support. Richa initially shared this idea with Satyajeet, our other Co-Founder and he loved the idea. He also believed that through YourDOST, we will be able to help a lot of people. The day Richa shared her idea with Satyajeet, he started coding to make the YourDOST website, and within 24 hours we had it up! That is how the idea started shaping up into a technology product. One thing we have learnt for sure is that - No matter how many hurdles come your way but you cannot afford to lose focus. Believe in yourself and keep moving, things will start falling in place. How did you manage to raise all the money to start this venture? We were bootstrapped for initial period of our operations but raised close to USD 400,000 ( ` 2.5 crores) in Angel round. Owing to the uniqueness of the idea, we were able to attract established entrepreneurs like Phanindra Sama (Redbus Founder), Aprameya Radhakrishna (TaxiForSure Founder), Aneesh Reddy (Capillary Founder) and many seasoned investors like Sanjay Anandaram (Seedfund), Venk Krishnan (NuVentures) etc to our investor portfolio. How many people are now associated with YourDOST, and in what capacities? We managed to attract some of the best talent in the market from premier institutes like IIT, IIM and from a few top companies like Flipkart, Mu Sigma, Vodafone, etc. Currently we are over 20 people strong (in house) working across counselling, Operations, Tech, and Marketing teams. We also have over 250 experts (which includes, counsellors, career coaches, mentors, etc) working remotely from across India. We have a 'freemium' model for our business - where primary features like text based consultants, live chat or messages are free for the user. A few premium features like Audio and Video calls are chargeable at a nominal amount of around Rs.500/- as opposed to the market price of Rs.1500/- per session. Do you prescribe medicines? And, do you think online counselling can be better than in-person counselling? No we don't prescribe medicines. We have not yet started involving psychiatrists and drug prescriptions in our offering. Both online and in-person counselling have their own pros and cons. Online counselling has a major advantage of mass reach and anonymity/confidentiality. No one can spot you on your way to a counselling clinic and judge. Given the stigma in our society pertaining to mental wellness and seeking help, online becomes the main solution for that. With the improving technology and hassle free video calls, it is bound to make the online experience seamless and as close as possible to an in-person counselling session. This is why we chose online medium to start with. On the other hand, if a case is very serious or requires clinical intervention, we prefer recommending them an in-person session. We do not want to take a chance of the lagging video becoming a deal breaker in such a scenario. This is especially true in Tier 2 and 3 cities where the internet bandwidth is a bit slow. Vedant Thaker, an 11-year old boy from Mumbai built an innovative power-source using his father's discarded laptop battery. After fitting LED strips to the power-source, it turned out to be a useful house-lighting item, particularly for people in rural areas, where's there's no electricity. Further he has	made the power-source solar rechargeable. From early childhood Vedant used to open up electronic items to check their internal parts, and then reconstructed them. Ever since he was 5 years old, he used to break open many of his toys and dissected the parts. On February 18, 2016, he has been awarded the "SOCIAL INNOVATION & ICONIC LEADERSHIP AWARD" for his innovation on "Recycled Battery Power Source", by World CSR Congress & Global CSR Excellency. Here's an interview with the child prodigy. For the understanding of our readers, could you describe your innovation on 'Recycled Battery Power Source'? This is a power-source created by using discarded laptop battery. The disposed-off battery of laptops has lot of energy still remaining, which can be readily recycled and put to use for another purpose. I have used it for the purpose of lighting up LED lights. The LED light strips have been acquired from market. As these lights are particularly intended for people in rural areas, where there is no electricity - I have made the power-source solar rechargeable. Tell us about how this idea of using discarded laptop battery for recycled usage came to your mind. When my father's laptop suddenly stopped working due to a damaged battery back in January 2014, I took the battery and started opening it up. Laptop batteries typically consist of 6 to 8 cylindrical lithium-ion (Li-ion) cells. Upon opening-up the battery, I found that one of the six cells in that battery was damaged. Since cells are connected in a series, the power supply to the remaining cells was cutoff due to the one damaged cell. I used three of the functional cells and installed it in a dysfunctional	CFL inverter lamp-and the lamp lit up. Taking cue from this, I thought of building a lighting system. My objective was to provide light to children in villages, who cannot study after sunset due to absence of electricity. So, I got LED strips from market that could be illuminated by my power-source. What kind of support do you now need to take forward your innovation to a market-ready state? To further develop the innovation, we need support of laptop manufacturing organizations and solar power plants. Instead of disposing off their damaged batteries as waste material, if laptop manufacturing organizations can give them to us, we can manufacture many such power sources to light up LED lights, which can in turn be used by people in rural areas without electricity - for the purpose of house-lighting. Also, if solar panel companies support us in manufacturing the solar panel for recharging the powersource, many people living in rural India without electricity can have light after sunset. How long does a fully charged battery last? Also, have you thought about the pricing aspect? A fully charged power source will last two days. If charged for 2 to 3 hours, it will last for 6 to 7 hours. The price can be between Rs 100 to 200. The bulk of the costing of such lights is that of the battery. Since, the battery that we are using is recycled, the cost becomes much lower. I want to be an engineer. I want to study at the IITs. For the understanding of our readers, could you please describe your innovation? By definition, hybrid vehicles run on petrol/diesel and electric power, where the batteries get recharged through external power source or by regenerating electricity with regenerative breaking. At Folks Motor, I have a patented innovation called 'Hybrid Regenerative Drive'. It is a process by which a car will regenerate electrical power and recharge its batteries each time the car slows down, or when brakes are applied. The batteries also recharge whenever drivers change gears or apply the clutch, which is a common feature in the urban driving conditions. The battery then releases the energy to the electric motor, helping propel the vehicle whenever the driver accelerates on electric power. The product offers two driving modes: the Engine Mode & the Electric Mode. If you drive your car for 10 km/pl on fuel, then our system recharges batteries & lets you drive the next 4 km on free electric power. The overall mileage in this case is 14 kms/pl. If you drive your car for 14 km/pl on fuel, then our system will let you drive the next 6 kms on free electric power. The overall mileage in this case is 20 kms/pl. With the first drive on engine mode for 70 kms, the batteries will be completely recharged for a 30-35 kms drive range on electric mode. For driving gearless on electric mode, one will need to use only accelerator and brakes, and switch the gear to neutral. The maximum speed one can reach on electric mode is 60 kmph. Installing this product in your car doesn't affect its resale value, we don't disturb the car's engine in any way. Tell us about how this idea of creating hybrid cars strike you. Back in 2008, when I was in Class 10, I drove one of the first hybrid car that came into India. It was priced at Rs 22 lakhs and offered a mileage increase of just 15%. A non-hybrid version of the same car came at Rs 12 lakhs. Clearly, the product lacked the value proposition. That's when I sensed that the next era of mobility would be Hybrid & Electric Vehicles. This is when I got inspired to innovate a low cost and affordable, "Made in India" hybrid technology for all the car users. I started my research for Hybrid Powertrain Technologies in Dec 2010 and was just 17 then. In the next 3 months, I was ready with my technology concept and in May 2011, we got into talks with several auto industry majors from collaboration for R&D perspective. We signed NDAs with them, as I didn't have patent for my innovation at that time. They found my innovation novel & interesting, but didn't go further since I didn't have any machine designs, computer model or a working prototype. Later, after filling for patents, I re-approached them. But couldn't go ahead since our system is defined as an all new hybrid powertrain platform & it would not be good for their business strategy. What kind of support do you now need to take forward your innovation to the market? The challenges we are constantly facing is to generate investor interest in automotive/auto ancillary sector, as all the Investors are interested in internet, healthcare & other service providing businesses. Whereas our plan is to manufacture new age hybrid vehicles in India & compete in a dominant heavy industry sector. What is the pricing aspect for such conversions? At Folks Motor, I am offering hybrid car conversion service to convert standard petrol or diesel cars into a hybrid cars. This conversion will cost approximately Rs 1 lakh per car. It's a zero maintenance product and comes with a lifetime replacement guarantee for batteries. And for our first 500 customers, we offer free replacement of batteries whenever they go down. Do you feel India has woken up to the need of Hybrid cars? How is the response for hybrid cars in India? The need of hybrid cars was always there. If it wasn't, then Delhi wouldn't be the Most Polluted City in the world. From consumer perspective, India's auto market is very much price and value proposition sensitive. Until now, we just didn't have solutions in the market which deliver to their expectations. Currently, there are only Micro and Mild Hybrid Technologies been introduced by Indian Auto majors which are gaining momentum as such hybrid cars exempted from Car Rationing Plan, Odd-Even Scheme applied in Delhi. Cars which are completely hybrid solution are not affordable to average Indians. Fact is, they are looking to buy a hybrid car within a budget of Rs. 5-10 lakhs. Our Hybrid Retrofit Solution holds a great value in terms of features and affordability, and we have already received 250+ product enquiries. What was it that prompted you to innovate the voice prosthesis? India gets about 25000 new cases of throat cancer each year. 80% of these cases are detected in Stage 3 or 4 and a majority of these patients lose their voice boxes as part of their treatment. A typical voice prosthesis costs anywhere in between 30000- 45000 rupees. Being from low income groups, they are unable to purchase a voice prosthesis, thus leaving them bereft of essential means of communication. One day, a throat cancer patient Mr. Sannathimayya from Chikkaballapur came to me for treatment. His voice box had already been removed. He had a very valid complaint that he couldn't speak because he couldn't afford a voice prosthesis. When I heard this, I thought that nature when it created us, gave us a speaking device at no added costs. Many of these patients were devoid of this essential mode of communication only due to cost constraints. So something had to be done. A few days later, my friend Shashank Mahesh, a co-inventor of this prosthesis come up to my room for a causal visit. He is an industrialist with a finance background. While sharing my desire to help patients through donations to procure a prosthesis, he emphatically suggested - "Why don't you develop one? I'll give you the industrial expertise and you give me the technical." This is where the idea of creating our special voice prosthesis started. Most of us may assume we speak through our throats. Truth is, we speak through our brain. Speech travels to our ear, get analyzed as sounds in auditory cortex of brain. From there it goes to the Wernicke area, to Broca area and the speech cortex. It then instructs the vocal cords to vibrate and intercept sounds. How can a throat cancer patient who has lost his voice box speak then? Any obstruction or interception to air produces sound. In these patients, their food pipe vibrates and intercepts air producing speech as directed by the intact brain. Aum voice prosthesis is implanted in patients undergoing laryngectomy enabling the patient to speak after surgery. Post surgery, a patient is able to speak even in the absence of larynx. The partial shutter relatively opens when the air is exhaled from the lungs and allows the air to pass through from the second end to the first end of the cylinder. This mechanism also prevents the entry of food particles into the second end, thus preventing fungal infection in the prosthesis and extending its life span. Overall, our innovation is non-invasive and cost effective. How long did it take for you to develop it? It took us 2 years to work and rework on serial principles that govern the mechanic of this prosthesis. Needless to say, this was not a full time work. We used our free time to think various aspects of this invention. What are the challenges that you faced while coming up with this innovation? Key challenges that we faced were our own cynicism and mental blocks about feasibility of executing this vision. What is the material with which it is made? Aum voice prosthesis is made out of medical grade platinum cured silicon. In which cases can the prosthesis be used? Typically, a prosthesis replaces a missing body part that is lost through trauma, disease, or congenital conditions. Aum Voice Prosthesis is especially made for throat cancer patients to help them speak again. What is duration of the surgery to fit the device? Whether during an operation or an outpatient clinical visit, the prosthesis can be fitted in about 15 minutes time. It is an extremely affordable innovation. Is the price currently subsidized? It has always been our intent to reach this device to the needy at the most uncorrupted costs. Thus, there was a need to blend the best standards of functionality with affordability. This was feasible only because we did not charge for our time and talent. Nor did several of the manufacturers, suppliers, engineers, physicists and technical experts, who upon understanding the intent of this device came forward to spare their time and efforts. We all simply created a demarcation between necessity of life and privileges. Today, the device is priced at merely Rs. 50. How many people have benefited from this device until now? We are extremely proud to say that around 30 patients have benefitted from the device till date and several 100s are waiting to be fitted with it. If sold in the worldwide market, the Aum voice prosthesis can be serious competition to existing products. Is a mass scale production and worldwide sale of the prosthesis planned? We plan to take the product worldwide to reach out to needy patients who cannot afford costly voice prosthesis. We do not believe in competition. Our philosophy is making science accessible. We believe that science is incomplete if it remains a hope only for the future. It needs to be useful to the present, serving the needy or being accessible. Have any NGOs approached you for spreading word about it? Yes, a few NGOs have expressed interest to help us spread the word. What was the significance behind using the word Aum? AUM has 3 elements to it - A signifying 'creation', U signifying Sustenance and M signifies Annihilation. This is not a religious connotation, but represents a primeval sound that signifies 3 defining principles of this universe. We aptly named this device AUM, since this prosthesis gives our patients a fresh chance to communicate once again. This resonates and resounds all aspects of creation. This prosthesis should come as a thanks giving to the almighty and help them serve other needy people. What was the inspiration for creating the Sohum device? Research shows that, each year approximately 800,000 babies with hearing impairment are born all over the world. Of these, 90% are born in developing countries. More specifically, 150,000 babies with hearing impairment are born in India each year and remain speechless for lifetime because of late intervention. All these factors were compelling reasons for me to come up with a good innovation. Can you please describe how the Sohum device works? The device works on the principle of Auditory brainstem response in which three set of electrodes are kept on the head of the baby and EEG data is acquired to tell whether the baby can hear or not. The device takes less time and is ideal for mass screening. The band which goes on to the head of the baby carries electrodes, fits different head sizes and is very easy to clean. The hardware box which carries the sophisticated hardware unit and can perform in noise because of the unique noise cancellation algorithms. The interface is designed such that it can be used by any healthcare worker. The results of the test are completely automated and will be indicated as Pass or Refer, If the baby is pass, parents will be given a pass report but if the result is refer, she will be referred to a nearby audiologist with the help of a centralized data system & telemedicine module. How can early detection of speech impairment retain a child's speech? Early detection leads to early intervention and child will be able to hear and acquire language in the first few years of life when the mind has the plasticity to learn sound and language. How much is it priced at? We have a dual pricing strategy, one for bigger hospital and the other for smaller hospitals. It is priced at one third the price of the currently available imported devices. You have mentioned that you are working on reducing the product price further? How? The device and technology is developed ingeniously and we have full control on its design and development. We have cross utilized the already existing platforms in hardware to control the price and using indigenously developed algorithm IP. How are you making awareness about your innovation in economically backward regions of the nation? We are engaging local healthcare workers and general physicians to increase awareness and providing the newborn hearing screening to babies born in resource poor setting of India. We are also collaborating with already existing government programs focusing on newborns. How many babies have benefitted from your innovation till date? Till date, approximately 300 babies have benefitted from Sohum device. How are you training medical teams from across the country to use your innovation? We have a training module which we are providing to the hospital. The usage of the device is very intuitive, making the device highly user- friendly. It requires minimal training for a healthcare worker to use this device. How has the response for the product been from other countries? We have installed 2 such devices in Guatemala in Central America. We have inquiries from African countries, Indonesia, Vietnam and China as well. Bhungroo in Gujarati language literally means a straw or a hollow pipe. It is well known in Asia and Africa as an innovative and efficient rain water conservation technique through usage of pipes. With this disaster mitigating and irrigation guarantee technique, storm water gets filtered, injected and stored underground for usage in lean periods. It also ensures sufficient water for irrigation and other sectors with zero water footprint. Bhungroo can help store approx.1-4 million liters of water using a space of merely 1 sq. mts. This is how the Bhungroo technique guarantees food security during rainy periods and crop survival in lean periods. In addition to this, it helps to supplement a community's household water needs as well. Bhungroo can be a tailor made solution with approximately 27 variables in place. To function perfectly, it needs a minimum of 4 inch height of water at its suction level. Also, the subsoil formation should ideally possess permeable layers within a depth of 130 meters. In the times of floods, multiple Bhungroo systems can be put to use with serial injections of water in the underground storage system. Why is Bhungroo an ideal solution? Marginal farmers make up about 50% farming community in Asian and African countries. Majority of these farmers follow rain fed cultivation practices. However, the monsoons can be completely erratic, inadequate and delayed. Leading to crop-failure, food shortage, economic loss and migration of farming community to urban areas in search of livelihood. Extreme weather conditions can aggravate desertification and soil salinity, which ultimately lead to infertile land. Today in India, millions of acres of farming land have been getting affected by seasonal waterlogging and consequent infertility. With optimum utility, a single Bhungroo system guarantees productivity to 26+ acres of land per annum. It requires extremely low capital investment to be made just once and guarantees good soil fertility for up to 30 years. According to its innovator Mr. Biplab Paul, post the installation of the Bhungroo system a farmer can easily reach a breakeven point on his investment in approximately 2 years span. Interestingly, Bhungroo system works at about 10% of the bore well recharge technology cost. Farmers from arid regions of Gujarat have been using this indigenous storm water harvesting system with a good deal of support from women from local communities. In fact, a Bhungroo is typically owned and managed by women. Till date, the system has irrigated a significant portion of agriculture land in approximately seven districts of Gujarat. Currently, 3000+ Bhungroos are operational and more are getting constructed. Mr. Biplab Paul is a grass root development professional and has been diligently working on innovative technical solutions for last two decades. His World Bank IDM 2007 awarded water technology is enabling poor women farmers towards disaster preparedness and lifelong food security in rural India; He has also been awarded as Ambassador for Peace, Ashoka Global Change maker, Change maker for India, Water Star, Best Contributor for State Development, etc. 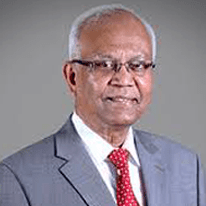 Dr. R.A. Mashelkar, CSIR Bhatnagar Fellow, President of Global Research Alliance, a network of publicly funded R&D institutes from Asia-Pacific, Europe and USA with over 60,000 scientists. 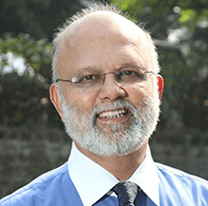 Deeply connected with the innovation movement in India, he is currently the Chairman of India's National Innovation Foundation and Marico Innovation Foundation besides being a member of I-20, the global summit of innovation leaders. He is on the Board of Directors of several industries and is a Fellow of several prestigious societies and academies. He has won several awards and received honorary doctorates from 28 universities. In 1998, he won the JRD Tata Corporate Leadership Award. In 2005, he received the BusinessWeek (USA) award of 'Stars of Asia'. He received the Padma Shri in 1991 and the Padma Bhushan in 2000. On 25 January 2014, he was awarded Padma Vibhushan, 2nd highest civilian honor of India by the President of India. 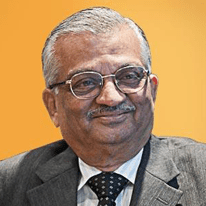 Dr. Anil Kakodkar served as Chairman of the Atomic Energy Commission of India and the Secretary to the Government of India, he was the Director of the Bhabha Atomic Research Centre, Trombay from 1996-2000. He was awarded the Padma Vibhushan, India's second highest civilian honour, on January 26, 2009. Dr. Anil Kakodkar has worked for the development of the atomic energy programme in India throughout his professional life. Focus of his work has been on self-reliant development of nuclear reactor systems to address the Indian programme requirements. 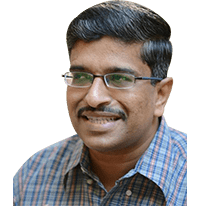 He has created a roadmap for shaping the third stage of India's nuclear power programme aimed at tapping vast energy potential of our thorium resources not only as source for electricity production but also as a primary source for other forms of energy use. A number of new technology areas such as accelerator driven systems, high temperature reactors, materials and recycle technology etc. have been nucleated for this purpose. Kakodkar continues to be actively involved in programmes related to augmentation of Thorium utilization in our nuclear power programme. Dr. Anil Kakodkar has been a key contributor to India's strategic programme. He was among the chosen few involved in the first successful Peaceful Nuclear Explosion Experiment that India conducted on May 18, 1974 at Pokhran. 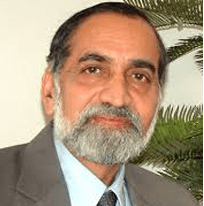 Kiran Karnik held the office of President of NASSCOM, the premier trade body for the IT software and services industry in India, till 2008. 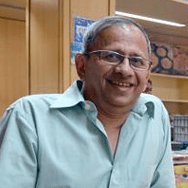 Earlier, he worked in various positions at the Indian Space Research Organisation (ISRO), including that of Founder-Director of ISRO's Development and Educational Communication Unit. He has also worked in the United Nations. 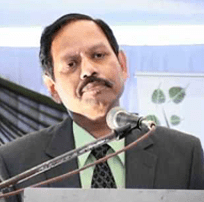 He is a member of the Scientific Advisory Council to the Prime Minister and the Central Employment Guarantee Council. Presently, he chairs the international Steering Committee of the Commonwealth Connects Program. In 1998, the International Astronautical Federation awarded him the Frank Malina medal for Space Education. He has been conferred the Padma Shri in 2007 and the 'DATAQUEST IT Person of the Year 2005'. BusinessWeek named him as one of the 'Stars of Asia' in 2004 and he was selected as Forbes magazine's 'Face of the Year 2003'. 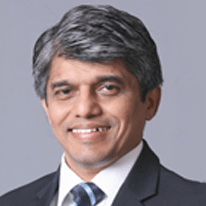 Dr. Deshpande is the founder and CEO of Persistent Systems, a 7,000 employee strong innovation led organization. He has a Bachelor's Degree (Hons.) in Technology in Computer Science and Engineering from the Indian Institute of Technology, Kharagpur in 1984. He also received a Doctorate in Computer Science from the Indiana University, Bloomington, Indiana (USA) in 1989. He worked at Hewlett-Packard Laboratories as a Member of the technical staff in Palo Alto, California from 1989 to 1990. 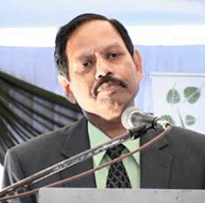 Dr. Arun Jamkar is the Former Vice Chancellor of Maharashtra University of Health Sciences and Chairman, i4C. 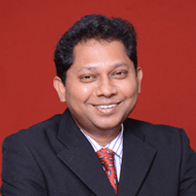 Dr. Arun Jamkar earned his MBBS and MS (General Surgery) from Marathwada University, Aurangabad. 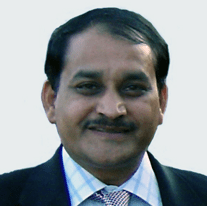 He completed his Ph.D. in Surgical Oncology from the University of Pune in 1987. 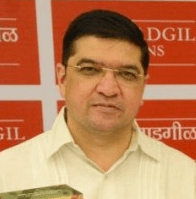 Besides, Dr. Jamkar is a Fellow of International College of Surgeons, Fellow of Minimum Access Surgeons of India and Fellow of Indian Association of Gastrointestinal Endo Surgeons. He has an experience of 30 years in the field of teaching, research and administration. He is a Mechanical engineer from IIT Mumbai (1987) and Univ. of South Carolina, USA, (1989). 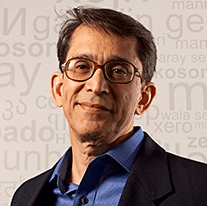 Starting his career with Tata Consultancy Services, he has been an entrepreneur for most of his 25 years in the industry. His initial business was in the CAD-CAM space, before starting his pioneering independent testing business. 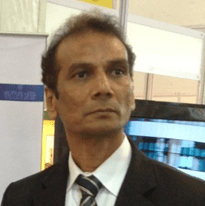 Gireendra founded VeriSoft, one of India's earliest and leading independent testing companies. VeriSoft was acquired in July 2008 by SQS Software Quality Systems AG, the global leader in independent testing. Till March 2016, Gireendra headed the India operations as the MD and CEO of SQS India. 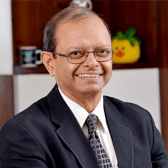 He was also on the board of SQS India BFSI, listed on NSE and BSE, founder and board member of SQS USA and member of the Cabinet of the SQS Group. 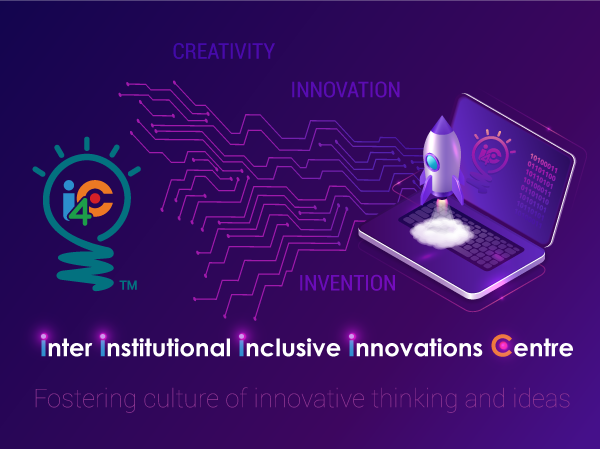 Gireendra is a Director and Executive Council member at the Inter-Institutional Inclusive Innovation Centre, an independent non-profit company committed to build an ecosystem that supports and promotes disruptive technology innovation in India. Gireendra has been a speaker at various international conferences on Software Testing, PLM and entrepreneurship. He is actively involved in various industry forums, currently as a charter member of TiE. 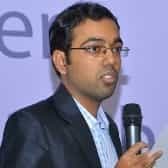 He is the founder of Software Process Improvement Network (SPIN)-Pune, was the Chairman of Computer Society of India (CSI) - Pune chapter and Core group member of the Mahratta Chamber Gaming and Animation Group. 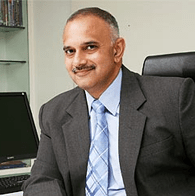 Mr C Manivannan (Mani) is President of Suma Soft Pvt Ltd and has been instrumental in growing the company from its inception in 2000. 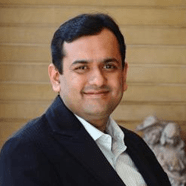 Mani has done his Bachelor of Engineering from VJTI Mumbai and has extensive experience in Information Technology areas. 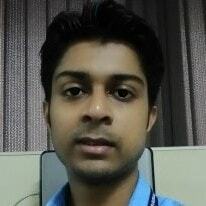 Prior to Suma Soft he has working in software and network technology areas for Lucent Technologies and Tata Power. 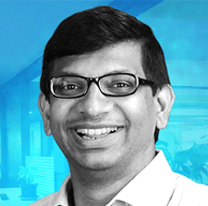 With 15+ years of experience in life science and healthcare, Dr. Abhay Jere is head of Persistent Labs, driving multiple cutting edge projects as Principal Investigator in fields such as systems biology and epigenetics. He brings in extensive global research experience in bioinformatics, molecular biology, genomics, cell-biology and protein purification. He completed his Ph.D. from the National AIDS Research Institute (NARI) in Pune and his post-doctoral fellowship at the U.S. National Cancer institute (NCI) at the National Institute of Health (NIH). He is also a part of 19 member core committee of eminent scientists that guide Ministry of Drinking Water and Sanitation under Swachh Bharat Abhiyaan. Disha has done a MBA in Marketing from University of Pune and brings with her over 10 years of work experience primarily in the health care domain in USA. 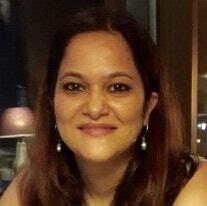 She recently joined Persistent Systems to handle the Innovation Initiative (i4C) with Dr. Abhay Jere. 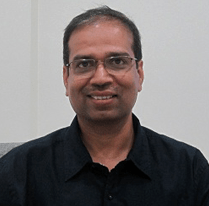 Vivek Kulkarni is currently working as Chief Architect in Persistent LABS. He has a total of 22+ years of experience in academia and software industry. 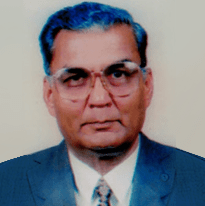 He has served as a subject chairman for multiple subjects for the Board of Computer Engineering, University of Pune in the past. He has written multiple books on "Theory of Computation"; these include the recent one with the same title with Oxford University Press that was published in April 2013. This book has been recommended by Pune University as a reference book, in their newly revised 3rd year computer science syllabus. He has also worked with organizations such as BMC Software, Symantec Corporation, and Tech-Mahindra earlier. He holds an international patent, "System and Method of Universal Programming Language Conversion", in his name as an inventor. 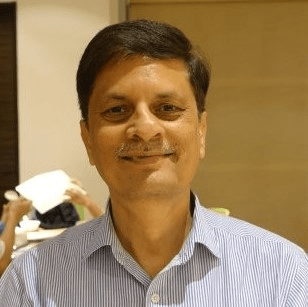 Snehkumar Shahani, MTech, PhD (Pursuing) at Department of Technology - University of Pune, is Research Associate at Persistent LABS. Prior to joining LABS he has an experience in Services and Product industry both at Persistent Systems. Besides this he is an active member at ACM and CSI as a Student member and at ScrumAlliance® as a Certified ScrumMaster®. At i4C he volunteers as a technical coordinator and assistant to the treasurer. Leroy is working at Persistent Systems, as a Module Lead. He has a Bachelor degree in Information Technology from Goa University. 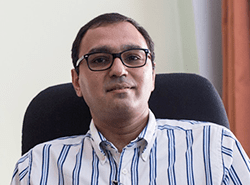 At i4c, he manages the development team based at Goa location. 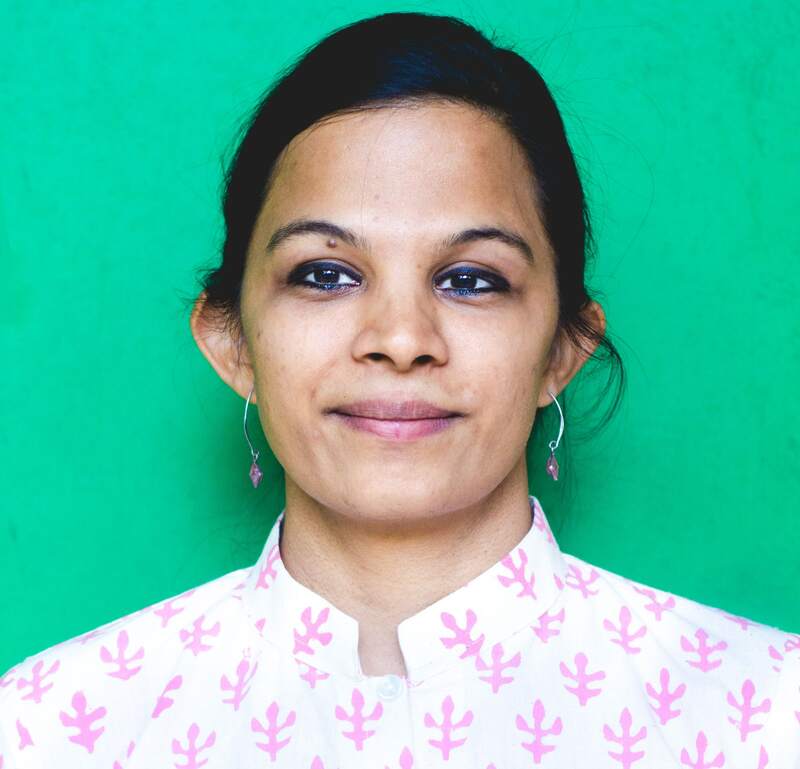 Anuja Kanhere holds a Master's degree in Human Resource Management from Pune University and has several years of experience in content writing, branding and communications. Currently, she is part of Persistent System's Inclusive Innovations (i4C) team. 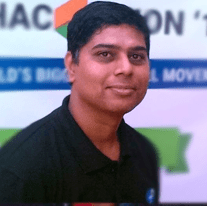 Sachin is working at Persistent Systems, as a Module Lead. He is a professional Graphic designer having an experience over 10 years in 'Visual and UX Design' domain. At i4c, he takeovers the visual design and marketing collaterals necessities, for i4C and Persistent Labs Team at Pune Office. 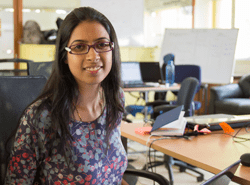 Aditi is presently working with i4c on the Smart India Hackathon – Hardware Edition and comes with over 10 years of experience working across domains, primarily with Entrepreneurs, Business Incubation centres, Makers and Designers. She is passionate about building communities, open source technologies, marketing & branding, design thinking, travel and photography. 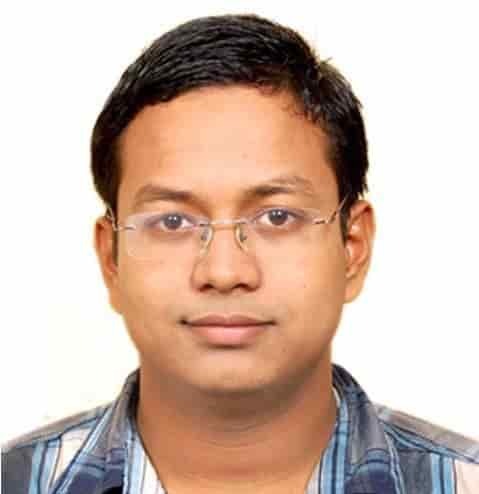 Vinit Duragkar is working at Persistent System Limited as Sr Team Lead. He has done Bachelor Degree in Science from Pt. Ravi Shankar Shukla Univerisity, Raipur. In his 10 years of experince he has worked on different aspects of UI, like as HTML developer, Visual Designer and Usability Designer. At i4c, he is working as UI designer.